A South African novel that explores what happens when a young, impressionable girl falls in love with a boy she meets online. 16-year old Jenna is a self-centred, angst-ridden teen obsessed with getting the object of her affection to finally notice her. When he doesn't, she turns to her friends and the internet for comfort. Being somewhat of an internet junkie, she doesn't hesitate when the ridiculously attractive Robert adds her as a friend on Facebook. Ignoring every warning from those closest to her, she finds herself sucked into the vortex of a relationship that quickly spirals out of control and puts her very life in danger. There's no denying that Young Adult fiction is a genre that is currently seems to be dominating the world of literature. While literary snobs (I'm definitely NOT one of them) may balk at the very idea, no one can argue that this genre has done a lot in terms of getting younger kids and teens to read. This is why I’m so happy to see that young, talented South African authors like Sally Partridge are delving into a genre that I believe will, without a doubt, do so much for our youth today. With social networking and cell phone applications being so readily available to youngsters, Sally takes on a topic that concerns (and frightens) so many of us and does it with finesse. For the most part, Jenna is a character that isn't very easy to like. Narcissistic, a regular drama queen and self-absorbed to a fault, she makes it very hard to engage the reader's sympathy. Coming from a home with mostly absent parental figures, she carries all the angst of a teen forced to look after her brother and herself. So of course, she does what any vulnerable young teen desperate for attention does; she allows herself to be taken in by pretty green eyes and striking good looks. The trouble begins almost immediately - and it's here where we, as the reader, quickly become frustrated with Jenna. On the one hand, you can't help but be annoyed with the temperamental diva who quickly becomes so wrapped up in her new relationship that she completely neglects her friends; but on the other hand, you can't help but be concerned and frustrated that she's the only one who is blind to the very obvious warning signs (Robert simply has smarmy written all over him). This is where the brilliance in this novel lies. Regardless of your feelings toward the main character, you won't be able to put the book down because you simply have to watch how it all unfolds. It's like trying to tear your eyes away from the scene of a fresh car accident: no matter how hard you try, your eyes will always revert back to the scene. That same principal applies here. Sally has certainly written a book that will keep you on your toes. She has a keen insight into the psyche of teens and especially has a knack for creating damaged and broken characters. The way she's written Jenna makes it easy for the reader to see how easy it is for young girls to fall prey to internet predators; even more so when there's no real parental supervision. The book is a fast-paced and quick read filled with lots of snappy dialogue, gothic undertones and interesting characters. 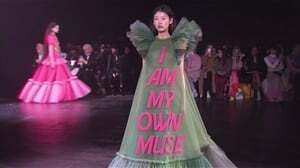 My only criticism? I felt like certain parts of the book needed more of an expansion and that some of the dialogue between Jenna and Robert, felt a little like the reader should have been given a little more detail into some of their conversations during the beginning stages of their so-called relationship. 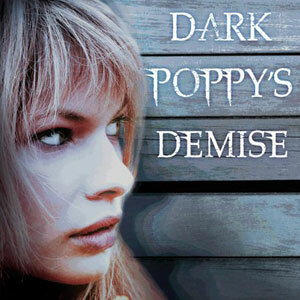 That aside, Dark Poppy's Demise is a book every parent, teen and young adult should read. I think there are far too little books that touch on subjects like these and I applaud Sally for writing a book that has needed to be written for a long time. Want to know more about Sally? You can read my interview with her here.